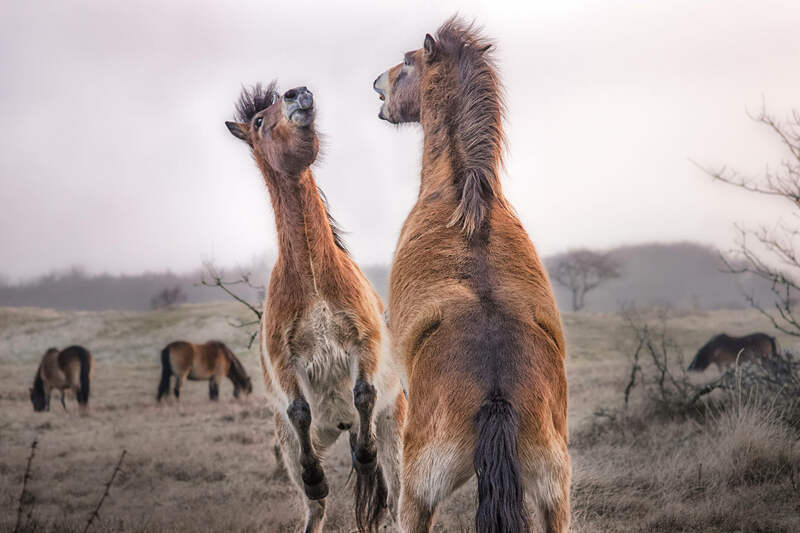 Two young Exmoor pony stallions rearing in a sparring bout on a cold winter morning near Castricum, NL. A sudden bout of playful energy. Shortly before they were still quietly standing close together. See sparring partners.